One would expect a novel on the life of Erzsebet Bathory to lean toward the horror genre of literature, but this surprisingly sympathetic retelling of her life is anything but gory and cringe-worthy. Starting out with a letter from her priest-jailor at the end of her life, in which she is being held captive in a lonely tower cell, the reader knows from beginning that she is not an innocent. Looking back on her life through a letter written to her son, we get a first-hand account of how she came to be known as the Blood Countess with stretched truths and rumors. Erzsebet was the eldest daughter of an affluent family in Hungary and married well. Though her husband would come to love and respect her, and even encourage her iron fist over the servants, she loved and lost at an early age. This affected her personality, as did the subsequent losses of loved ones—not just to death, but also to deceit. One of the themes of the story is the psychology behind a personality that can make one act rather extreme under emotional distress. This was the most interesting facet to the story, though there is plenty of political intrigue and a history of the state of Hungary during the volatile late 16th century and early 17th century—an entirely new subject for me. This is a well-written and meticulously researched novel, and I highly recommend it for historical fiction lovers, but perhaps not those looking for a gore-fest. 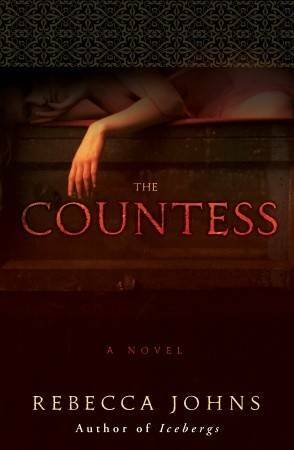 This version of the Blood Countess does the noblewoman credit, even if she deserved her to live in solitary confinement the final years of her life.